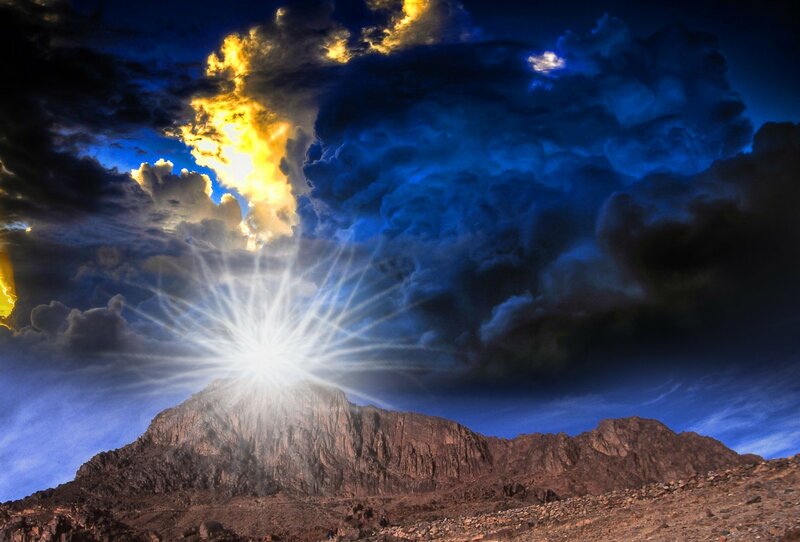 God’s people are hearing the call to ascend, to COME UP HIGHER, into the realm of His Holy Mountain – ZION. There are many “mountains” (kingdoms, governments, places of prominence and spheres of influence), but there is one Kingdom over all – God’s eternal Kingdom of Light. The Lord Jesus Christ is calling His people to come up into His Holy Mountain, to see from His perspective. He calls us to abandon our allegiances to kingdoms of men, to sever our earthly ties which keep us bound to the cares and values of the earthly realm. The pathway up to Mount Zion is paved with heartache, difficulty, persecution, loneliness and humiliation. The way of the Cross will turn our focus to eternal things, to a Kingdom that cannot pass away. Where you can gaze upon His face. To a realm where He is very near. And He is all your Confidence. Whose lives reflect the Pattern Son. And words of life are only spoken. And He alone, is everything. With His fully consecrated ones. Overtaken by His love for you. Where there ever is increasing light. And He inhabits all of you. Where abiding fellowship is blessed. And fills the heavens in the sky. The Tree of Life is growing there. Are those whose hearts are purified. Where Living Waters can be found. In vessels all in one accord. And they exalt His holy name. Where you are held in His embrace. With His Shekinah glory seen. Behold the City of the King. All He has prepared for thee. To where His Spirit carries you away. 2. It was the place of the tombs of kings (repentance, “death to self” takes us there). 7. It was the capital of Jerusalem, the sacred governing city from where the kings ruled. 1. Zion has a KING, Jesus Christ, Who reigns forever in an Eternal Kingdom. 2. Jesus is calling us to climb the MOUNT OF SEPARATION, to “come apart unto Him”. He invites His Bride to view the land from the TOP OF HIS MOUNTAIN. He calls to His Beloved to “look from the top”, with spiritual vision, so that she can see accurately, from His perspective; Song of Sol. 4:8. (“Hermon” was its ancient name). 3. It is the resting place of the Ark. Those who ascend this Mount (Holy Hill) are holy, having clean hands, a pure heart, and a tongue that speaks truth; Ps.15:1-3; 24:3-5. 4. In general terms, Mt. Zion is the New Jerusalem, the Church; Hebrews 12:22-24, 28. 6. Zion was the highest mountain; it represents the HIGHEST ORDER in the Church, overcomers who attain to the “high calling”, a first fruits people; Rev. 14:1-5; Is. 2:2-3. 7. Zion is a present reality that is seen and known by the redeemed (in both human and glorified bodies), where God’s law and His ways are being progressively revealed. 10. It is the realm of His sceptre: where both His justice and His mercy are extended. 14. Within the Eternal City, are judges, messengers, teachers, craftsmen, deliverers, people with creative abilities, of various ranks, classes and orders, each having specific duties and assignments; Exodus 35:31-35; Obadiah 17, 21; Ezekiel 44:23-24. 1. Mountains can point to the pride of man; they shall be “brought low”; Lk 3:5; Is. 40:4. 5. Meeting places of “high powers” are called SUMMITS. In biblical days mountains were the center of a civilization’s spiritual community where they worshipped. 7. Revelation tells us that the “beast” carries a “woman” (the great whore). This woman is a “great city” (Babylon); Gen. 11:4, which sits upon 7 MOUNTAINS; Rev. 17:9.
a. Her influence is over multitudes, nations, kings (heads) of the earth; Rev. 17:1-18.
b. The Greek word “mountain” (Strong’s definition) is: “that which rises up, LIFTS ITSELF above the plain”. a. Samaria was Israel’s “crown of pride”; it was the capital of Israel (the Northern Kingdom); Isaiah 28:1. The “drunkards” of Ephraim are those who “err through wine”, which speaks of the abuse of Pentecost and misuse of the gifts of the Holy Spirit. higher place and be in relationship with our savior, and redeemer, Jesus Christ.